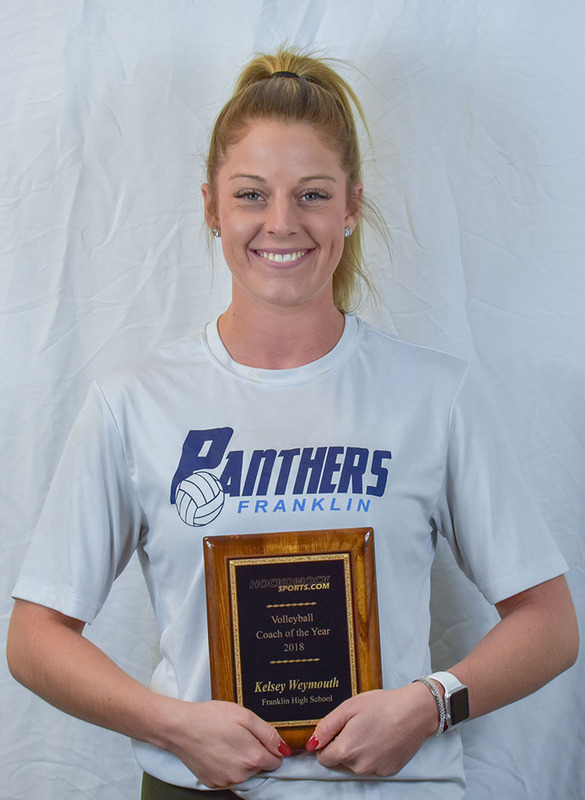 2018 HockomockSports Volleyball Awards 2018 HockomockSports Volleyball Awards 2018 HockomockSports Volleyball Awards 2018 HockomockSports Volleyball Awards 2018 HockomockSports Volleyball Awards 2018 HockomockSports Volleyball Awards 2018 HockomockSports Volleyball Awards 2018 HockomockSports Volleyball Awards 2018 HockomockSports Volleyball Awards 2018 HockomockSports Volleyball Awards 2018 HockomockSports Volleyball Awards 2018 HockomockSports Volleyball Awards 2018 HockomockSports Volleyball Awards 2018 HockomockSports Volleyball Awards 2018 HockomockSports Volleyball Awards 2018 HockomockSports Volleyball Awards 2018 HockomockSports Volleyball Awards 2018 HockomockSports Volleyball Awards 2018 HockomockSports Volleyball Awards 2018 HockomockSports Volleyball Awards 2018 HockomockSports Volleyball Awards 2018 HockomockSports Volleyball Awards 2018 HockomockSports Volleyball Awards 2018 HockomockSports Volleyball Awards 2018 HockomockSports Volleyball Awards 2018 HockomockSports Volleyball Awards 2018 HockomockSports Volleyball Awards 2018 HockomockSports Volleyball Awards 2018 HockomockSports Volleyball Awards 2018 HockomockSports Volleyball Awards 2018 HockomockSports Volleyball Awards 2018 HockomockSports Volleyball Awards 2018 HockomockSports Volleyball Awards 2018 HockomockSports Volleyball Awards 2018 HockomockSports Volleyball Awards 2018 HockomockSports Volleyball Awards 2018 HockomockSports Volleyball Awards HockomockSports Attleboro Canton Foxboro Franklin King Philip Mansfield Milford North Attleboro Oliver Ames Sharon Stoughton Taunton HockomockSports HockomockSports HockomockSports HockomockSports HockomockSports HockomockSports HockomockSports HockomockSports HockomockSports HockomockSports HockomockSports HockomockSports HockomockSports HockomockSports HockomockSports HockomockSports HockomockSports HockomockSports HockomockSports HockomockSports Your source for comprehensive coverage of the Hockomock League. We provide recaps, features, standings, schedules and much more. 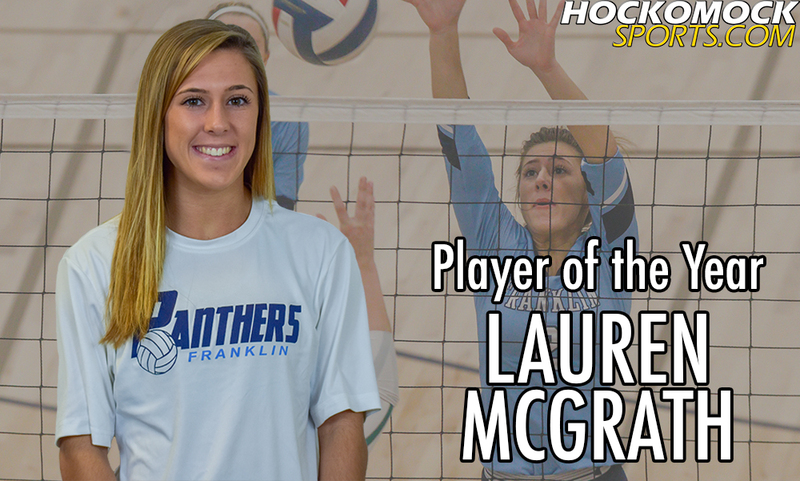 Franklin senior Lauren McGrath has been selected as the 2018 HockomockSports.com Volleyball Player of the Year. 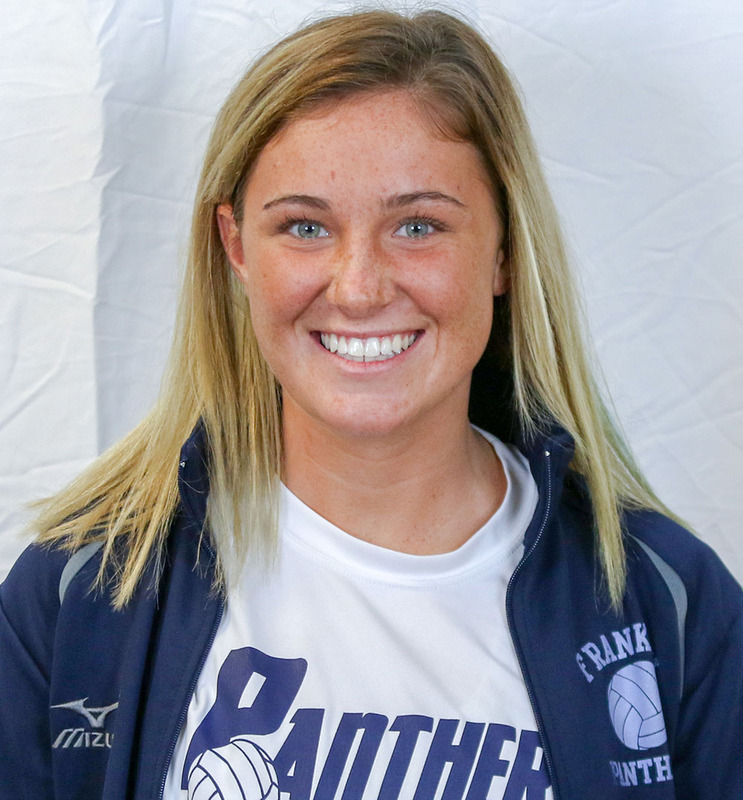 The Panthers’ setter played a huge part in helping her team win the Kelley-Rex division title and the program’s first ever Division 1 Central-West Sectional title. 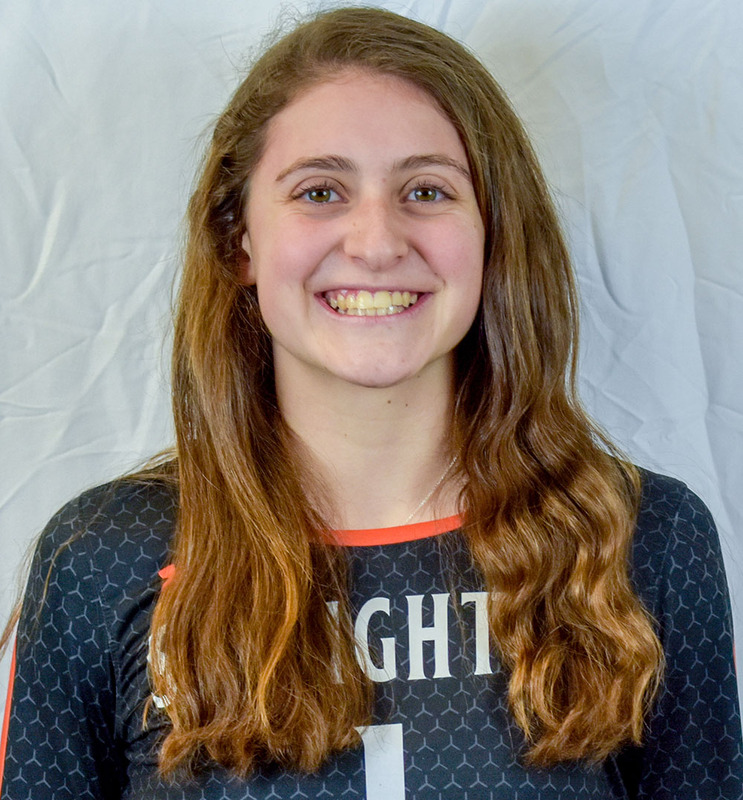 McGrath was also voted as the Hockomock League MVP by the coaches after guiding Franklin to an undefeated regular season, including a perfect 16-0 in Hockomock League play. The Panthers had one of the most balanced offenses in the state and McGrath was a big reason for that. She finished with 547 assists with just six ball handling errors in 21 games this season. 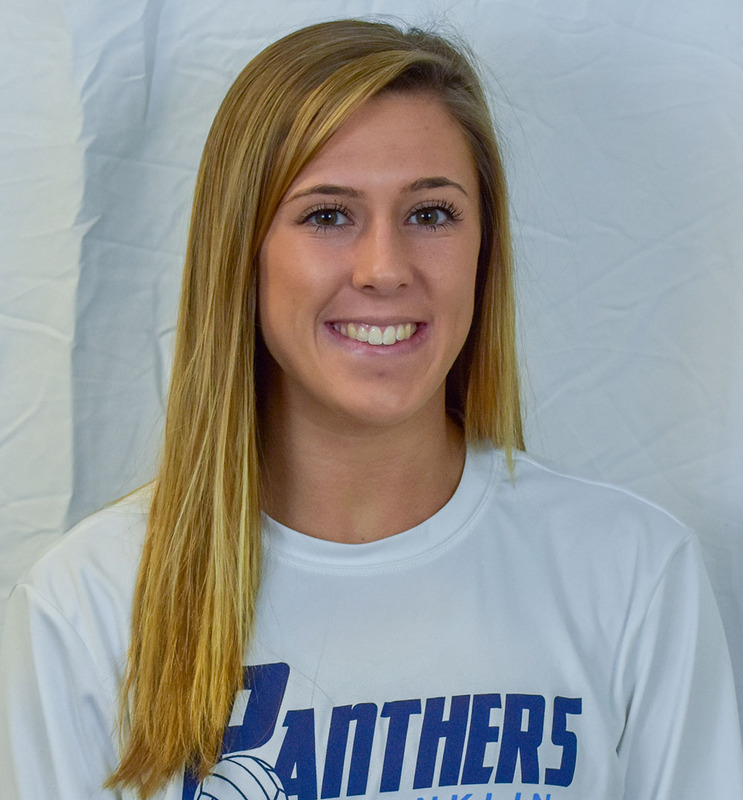 While Franklin had some of the most dangerous hitters in the league, McGrath’s ability to spread the ball around equally to the outside, middle, and right side made the Panthers’ attack very potent and kept defenses off balance. She added 31 aces with an 89.3% serving percentage and also had 16 blocks. 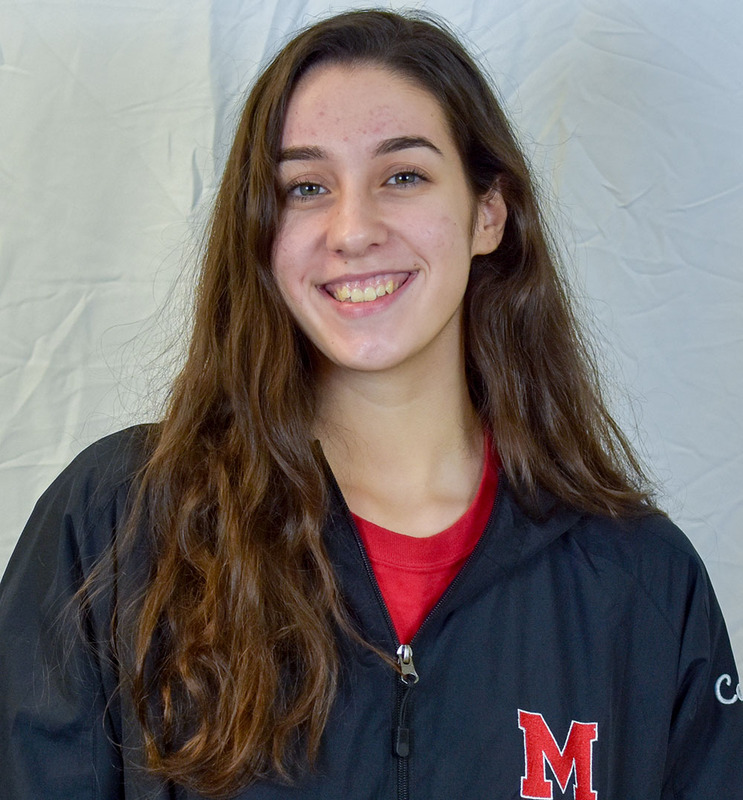 She set a program record with 56 assists against Concord-Carlisle. 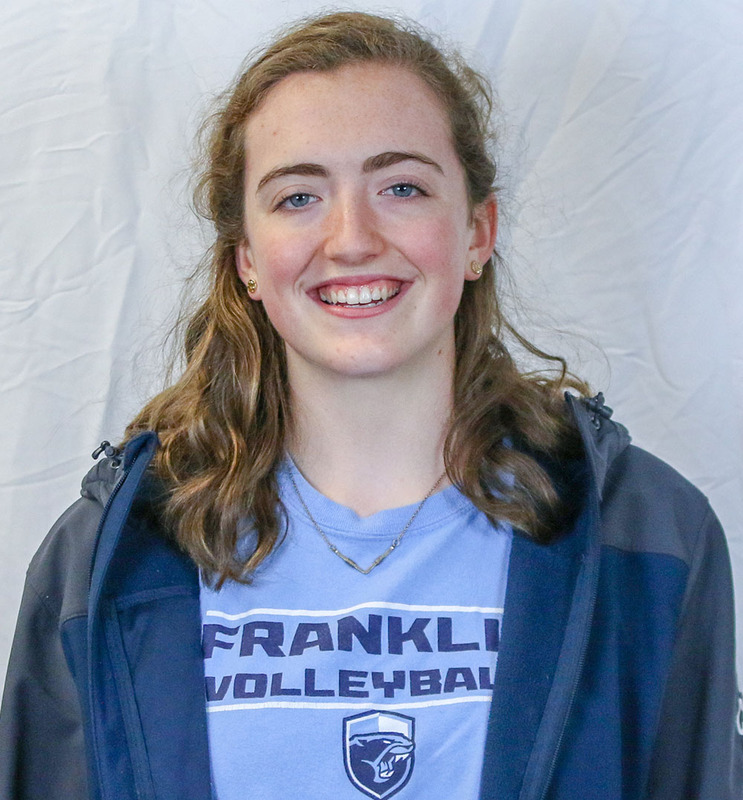 McGrath is the first Franklin player to win Volleyball Player of the Year honors for HockomocokSports.com and third straight from the Kelley-Rex division. 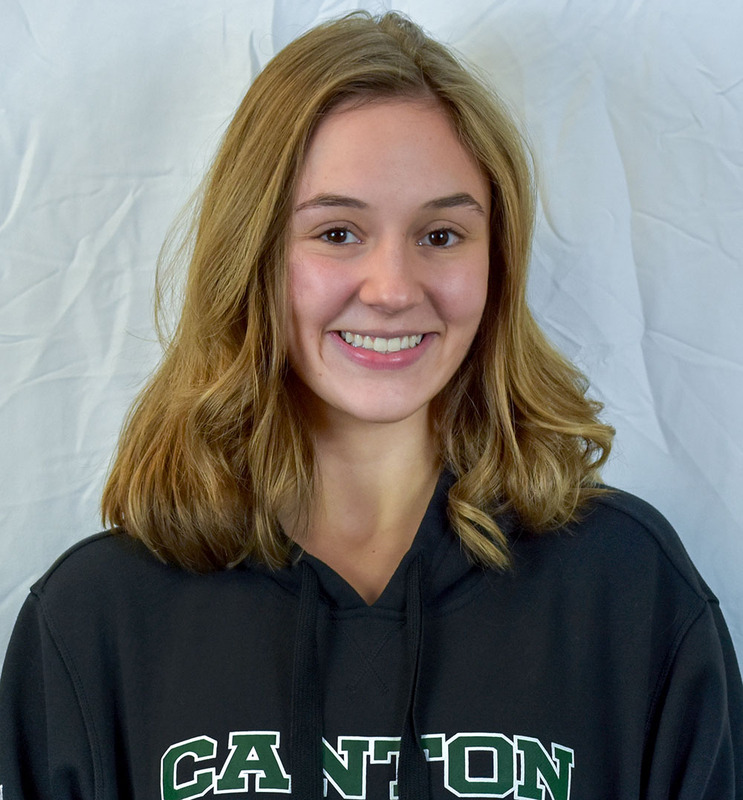 She joins King Philip’s Sydney Phillips (2016, 2017) and Canton’s Elizabeth Hamilton (2015), Erin Proctor (2014), and Avery Devoe (2013) as winners of this award. 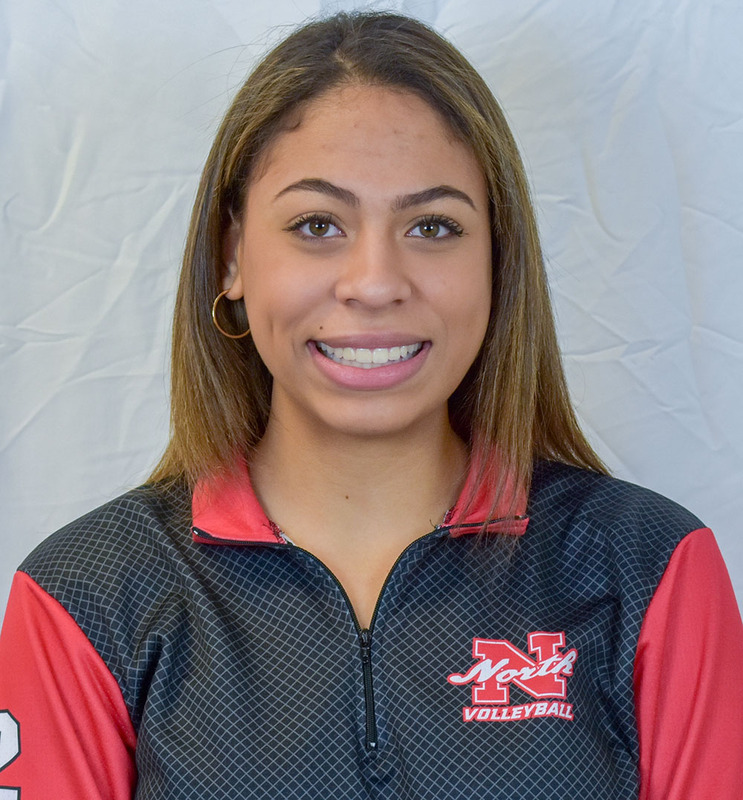 North Attleboro senior Tatiana Sotelo stepped into the Rocketeer lineup and emerged as one of the league’s top attacking options in the 2018 season. Sotelo was a leader for North this year and helped her side get back to the state tournament. 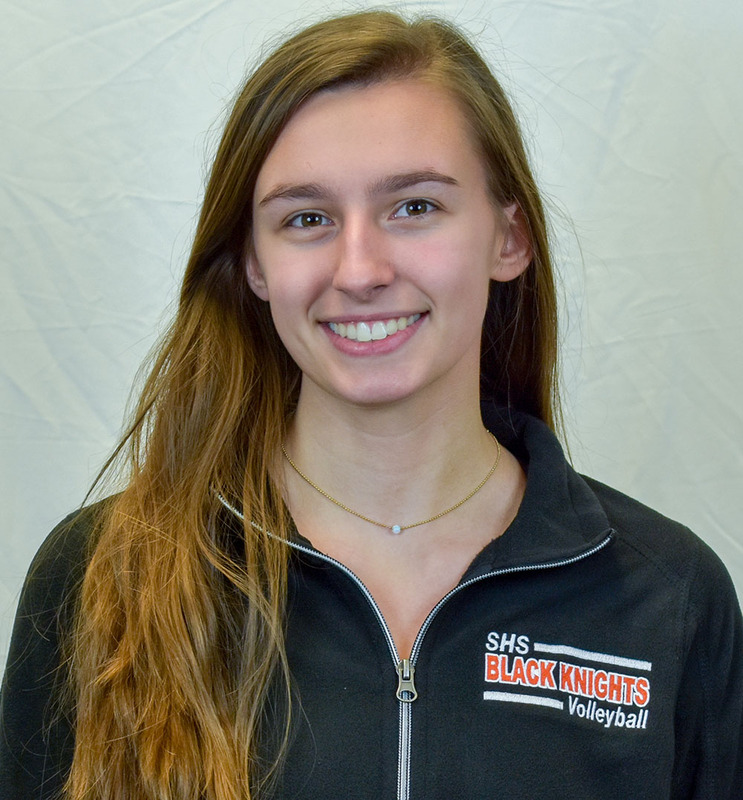 She had a team-high 204 kills, added 64 digs, and 48 aces. 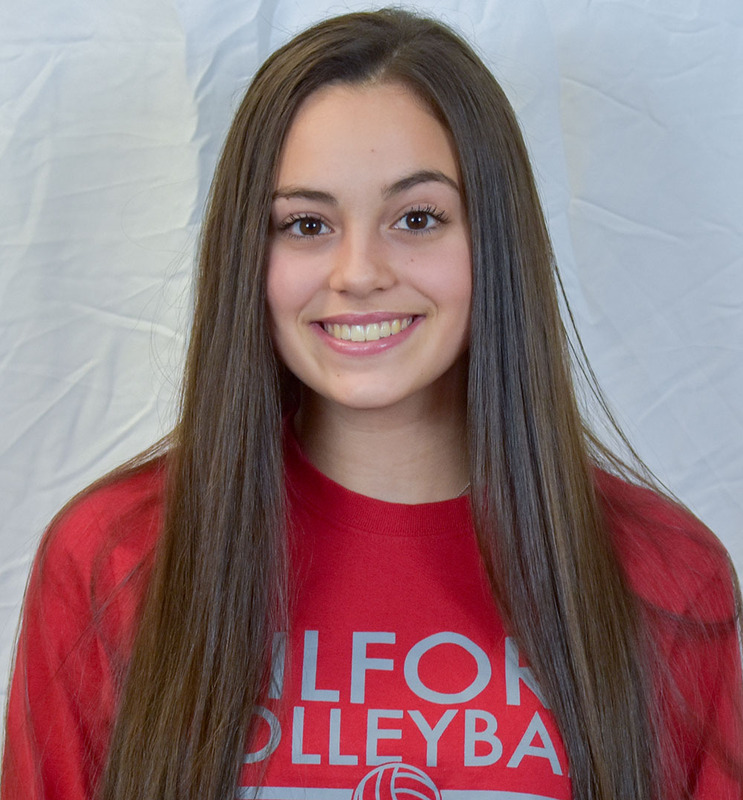 “Tatiana is an incredible, versatile student-athlete,” said North Attleboro coach Kim Hallahan. “She consistently works hard no matter if it were practice or a game. She never settles on her performance, she constantly is looking to improve. She truly was a strong force on both offense and defense this year. She was a pleasure to coach and watch. 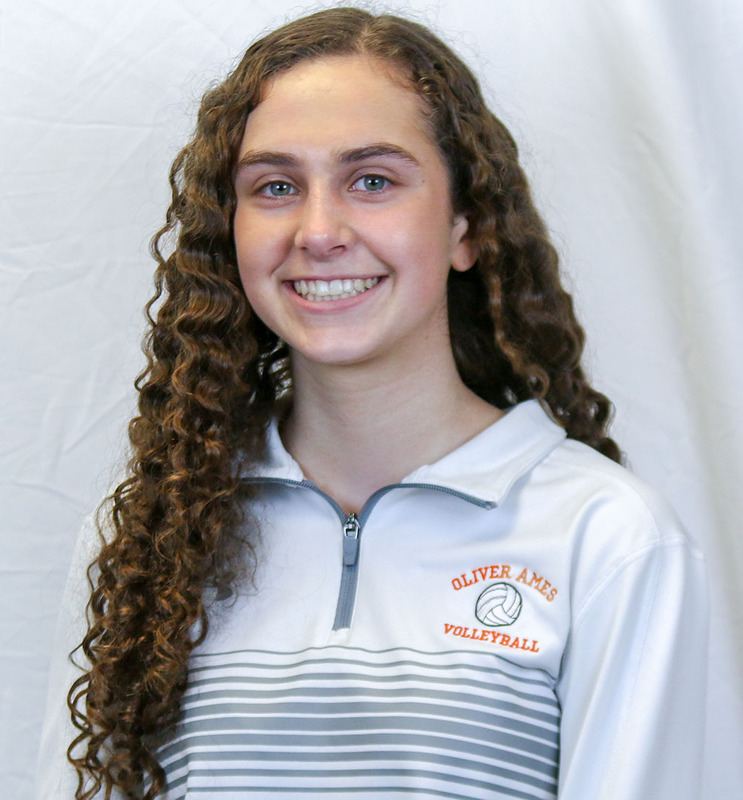 Oliver Ames’ Allie Kemp followed a standout sophomore season with a strong campaign in 2018 for the Tigers. 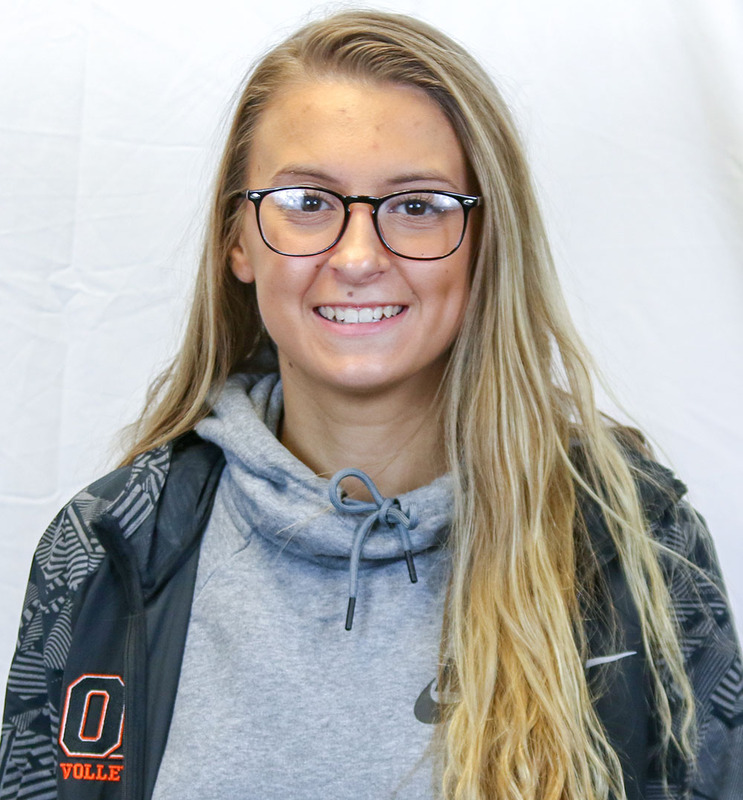 Despite graduating the majority of its offense, Kemp made sure Oliver Ames didn’t skip a beat this year and helped the Tigers to another trip to the state tournament and a second place finish in the division. Kemp had a team-high 484 assists, helping three hitters get over the 100-kill mark. 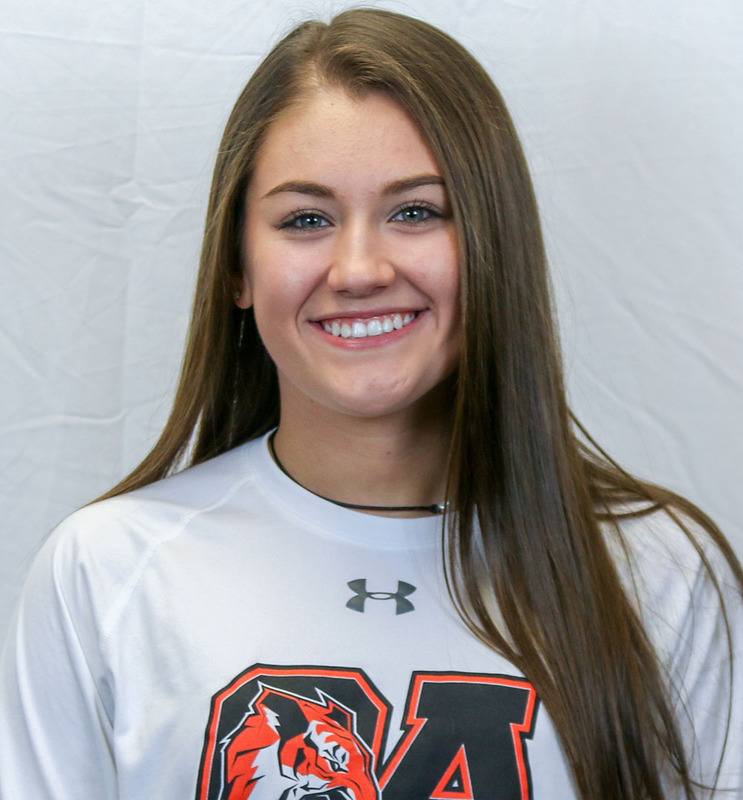 “Being a three-year varsity player, Allie has learned so much and is ready to go into her final season showing what she has to offer as a competitor, a teammate, and a leader for the Tigers,” said OA coach Chelsea Cunningham. 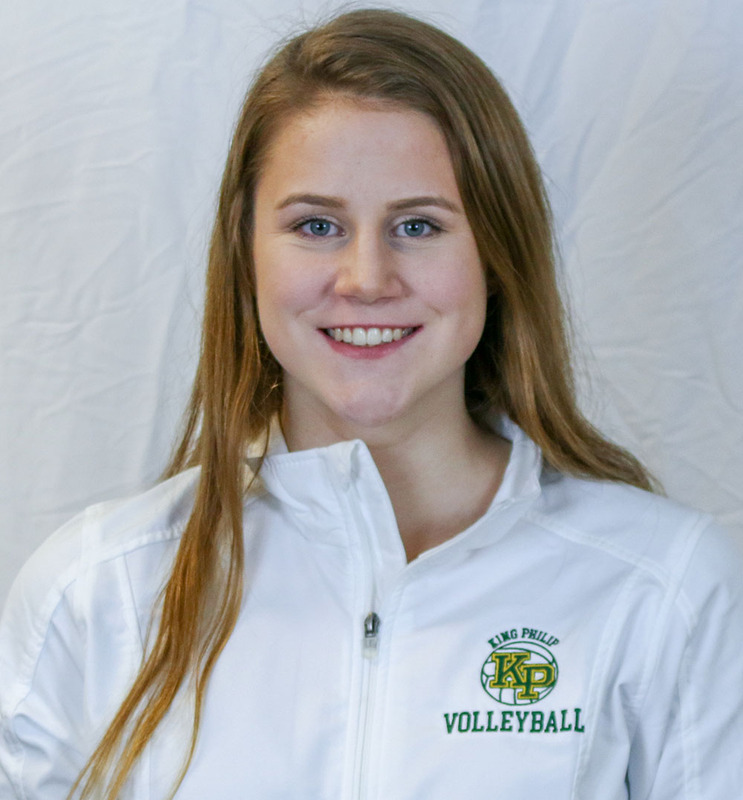 King Philip sophomore Nicole Coughlan has been selected as the 2018 HockomockSports.com Volleyball Underclassman of the Year. Coughlan played middle for the Warriors and emerged as one of the top two-way players in the Hockomock League. 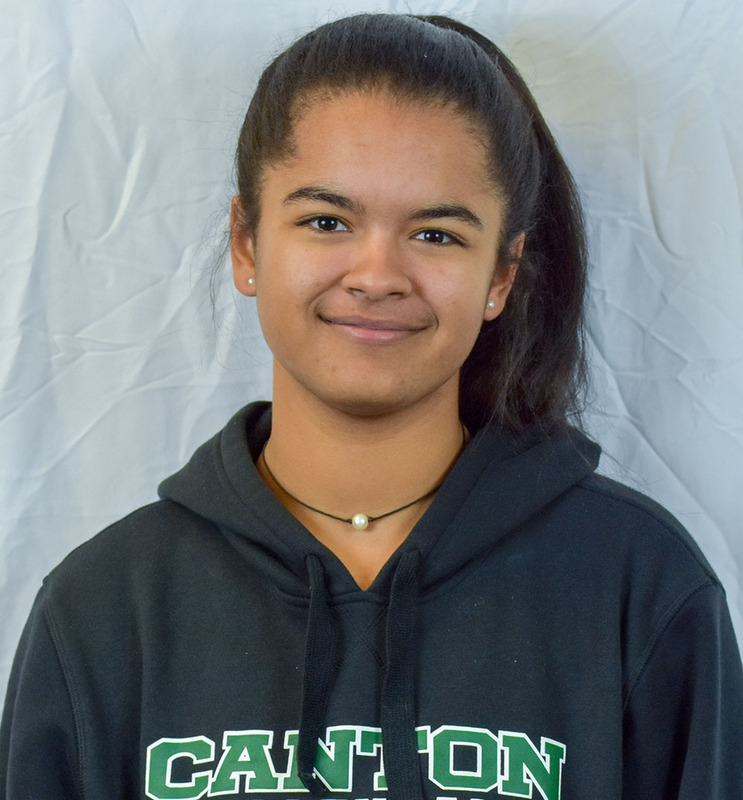 Coughlan’s ability to contribute on both sides of the ball, as well as at the service line, was a big reason that King Philip was able to take second in the Kelley-Rex division and qualify for the state tournament again this year. 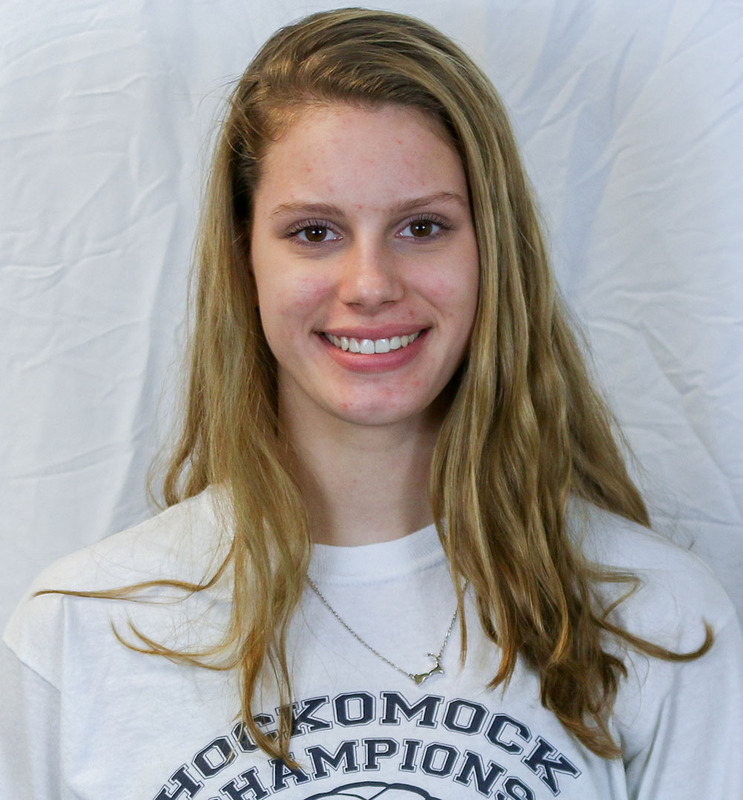 Coughlan was second on the team with 136 kills, which was tops among underclassman in the Hockomock League. 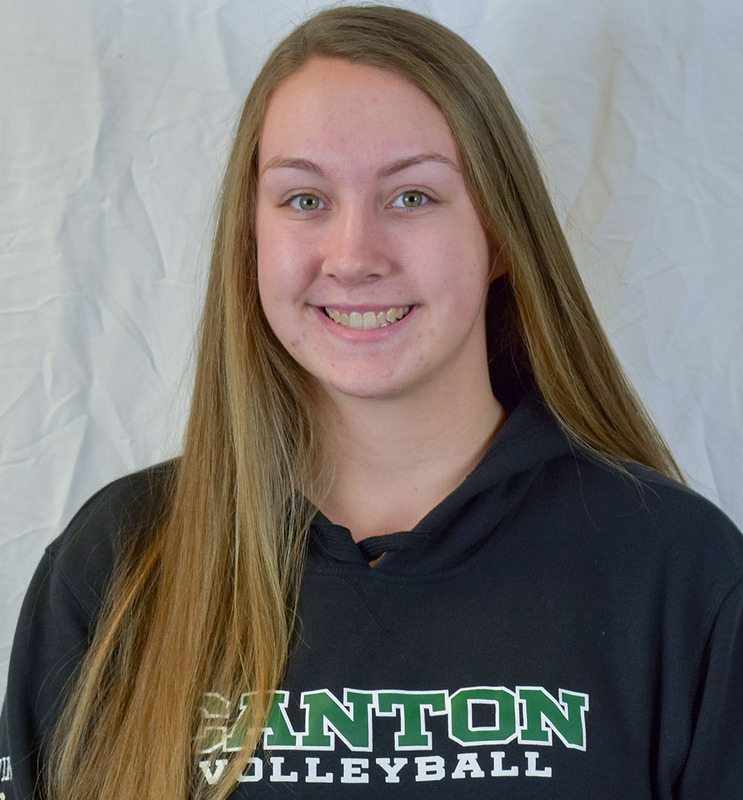 Not only did she emerge as a top offensive, she was among the best at the net defensively, recording a team-high 39 blocks (with just four block errors). 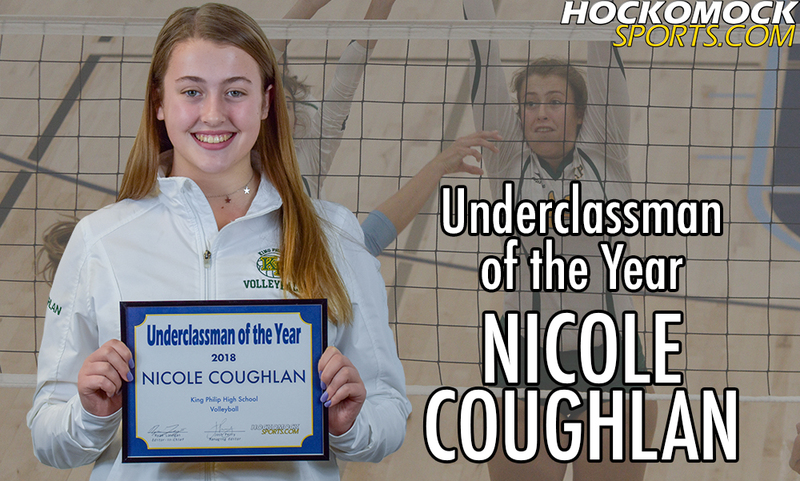 Coughlan is the second King Philip volleyball player to win the HockomockSports.com Underclassman of the Year, joining Mary Campbell in 2014. 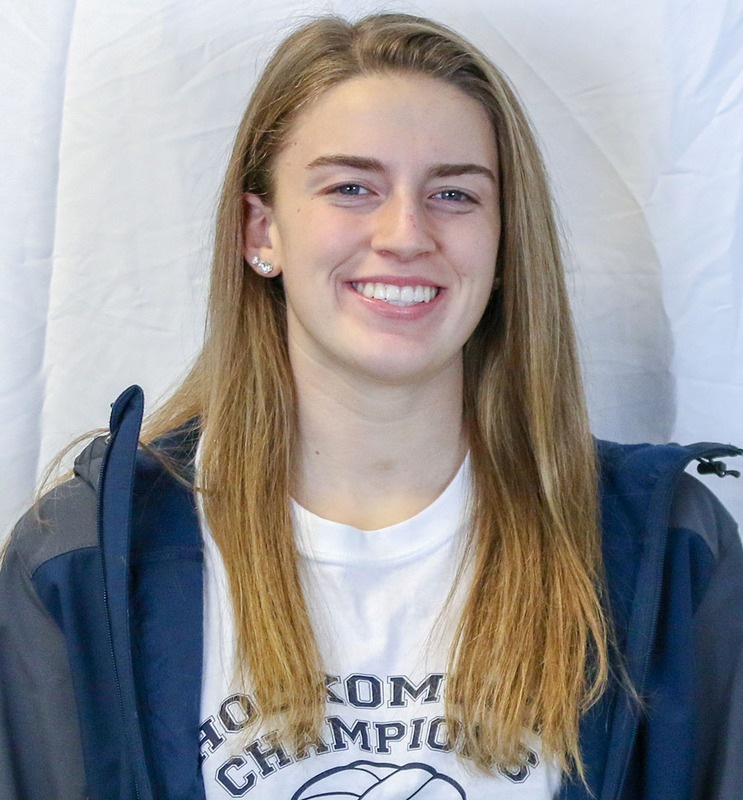 She is the eighth King Philip athlete in any sport to win (Joe Kellett, boys soccer; Avery Snead, girls soccer; Renee Poirier & Kali Magane, softball; Johnny Piatelli & Paul Macrina, boys lacrosse). 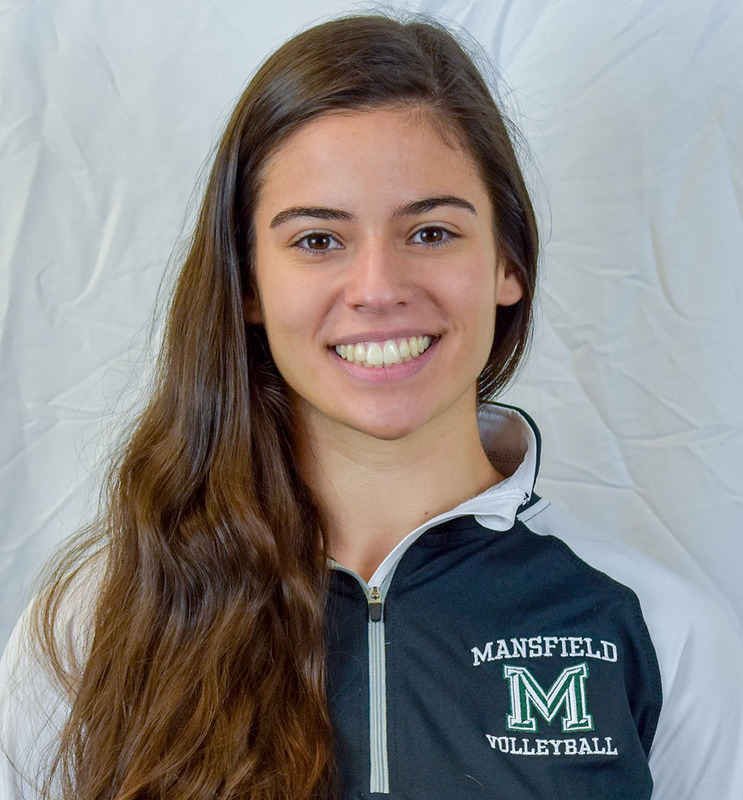 Franklin head coach Kelsey Weymouth has been selected as the 2018 HockomockSports.com Volleyball Coach of the Year. In her first year, Weymouth guided the Panthers to a 20-1 overall record, a perfect 16-0 in the Hockomock League, and the program’s first-ever sectional title. The Panthers won their first Kelley-Rex title since 2015 and won the title outright for the first time since 2011. After going a perfect 16-0 in league play (and 17-0 for the regular season), Weymouth guided the Panthers to three straight playoff wins in five sets, the last of the three a win over 3-2 win over Shrewsbury to secure the program’s first-ever sectional title. Weymouth is the seventh coach from Franklin to be named HockomockSports.com Coach of the Year across all sports, joining Tom Geysen (girls soccer, 2012 & 2013), Lisa Cropper (field hockey, 2013), Dean O’Connor (boys basketball, 2012), Chris Spillane (boys hockey, 2015 & 2016), Lou Verrochi (boys soccer, 2015), and Kristin Igoe (girls lacrosse, 2013 & 2014).